We do not accept any type of Insurance or Vision Care plan – other than Ontario Health Insurance Plan – for those patients who qualify for it. Routine eye examinations provided by either an optometrist or physician, for patients aged 20 to 64 are no longer covered by OHIP. These individuals pay for this service or have the cost of examinations covered by private insurance. Changes do not affect seniors or those under age 20. People 65 years and older and under 20 will continue to have OHIP coverage for an eye examination once every 12 months. 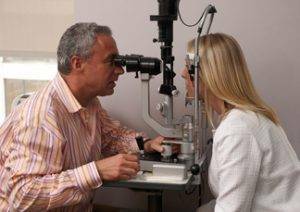 Changes do not affect ophthalmology services for patients of any age with medical conditions or diseases affecting the eyes. We’re proud of everything we do to help you out! Read about some of the things we do to help our community!